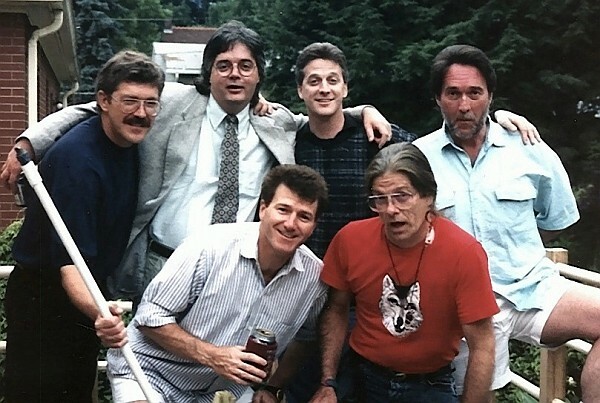 1991 pic of a several WKLO jocks from the 1970s. 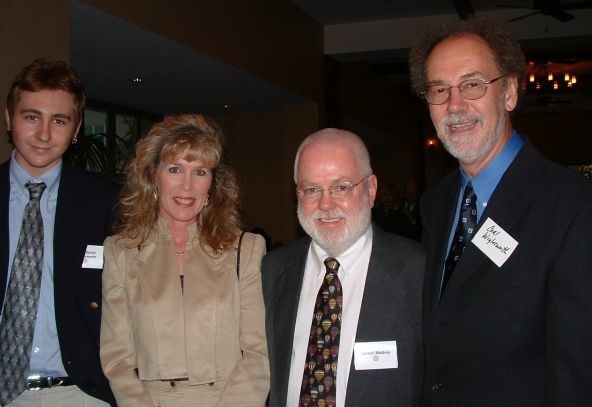 This photo was taken October 31, 2004 in San Antonio at the Texas Broadcasters Hall of Fame Induction banquet, when Carl Truman Wiglesworth was inducted as a talk personality. From L-R, John David Wiglesworth, (Carl's son), Laurie Wiglesworth (Mrs. CTW), Terrell Metheny (Mitch Michael at WKLO), and Carl Truman Wiglesworth. 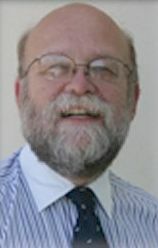 in Pewee Valley, Kentucky in early November, 2004. Bailey is seated. 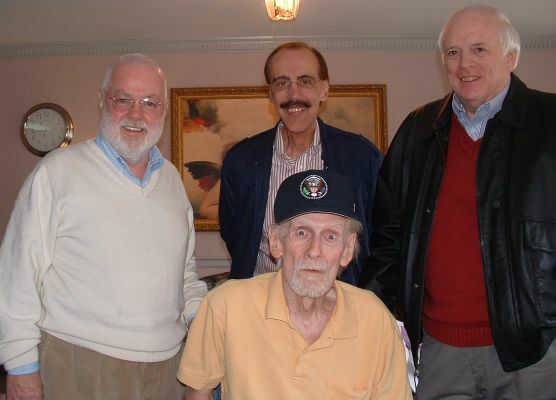 Standing from L-R: Terrell Metheny (Mitch Michael), Johnny Randolph, and Allen Bryan. 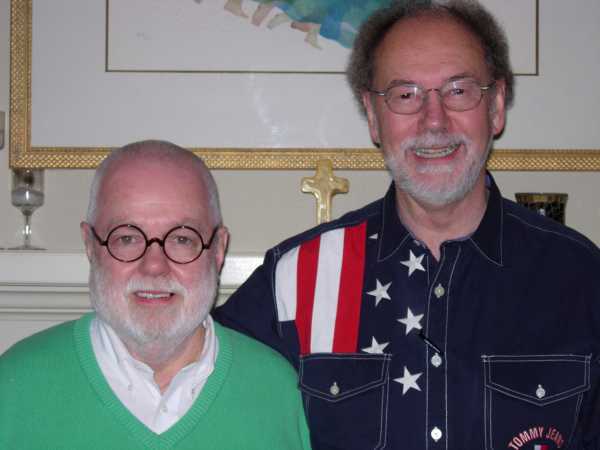 WRKA's Gary Clark shot this picture on March 30, 2005. 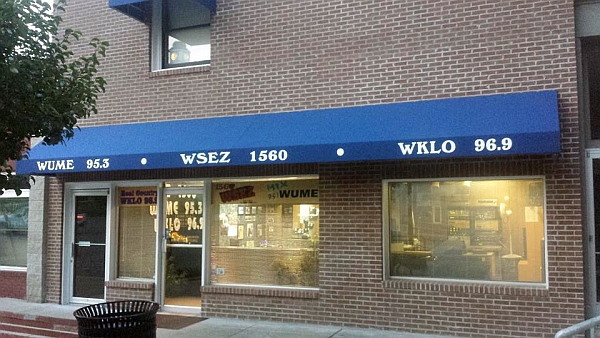 He writes: "Here is a picture of the old WKLO/WKJJ/WDJX studio as it looks today. The floor is now gone and when you look in the window, you are looking down at a conference room. 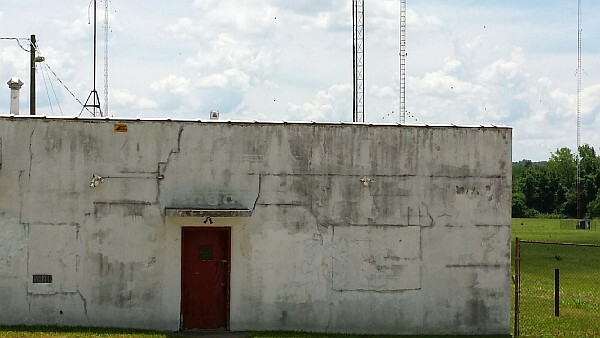 After WDJX moved from those studios in 1989, the building remained empty for many years. 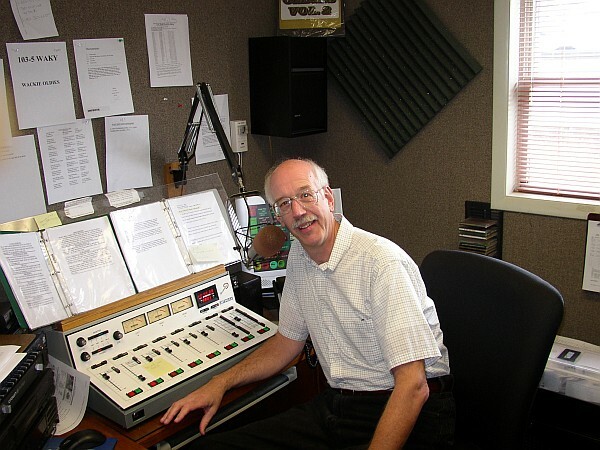 When Stoner Broadcasting purchased the radio station from Great Trails Broadcasting in 1988, they did not buy the building which was still owned by Great Trails. That building stayed on the market for many years until bought by Bandy Carroll Hellige Advertising. 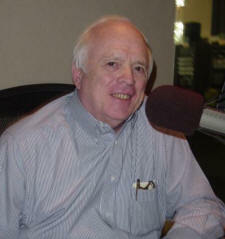 I also worked in that studio when it was WDJX. I was doing 10 p.m. till 2 a.m. under the air name Greg Scott. In 1989 WDJX moved to 612 Fourth Avenue in what is now the WRKA/WVEZ showcase studios. 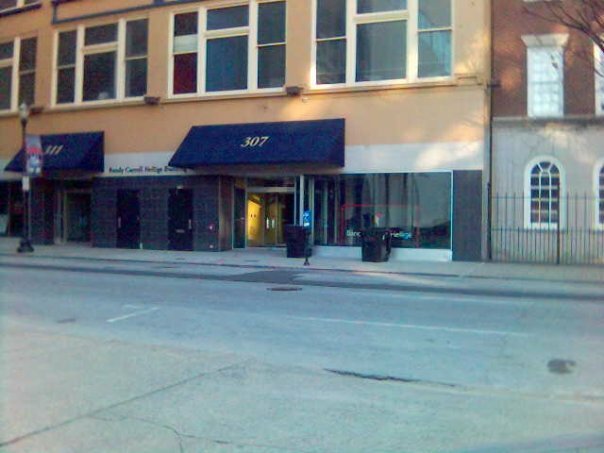 In 1999 WDJX moved down the street in studios next to the Seelbach Hotel. 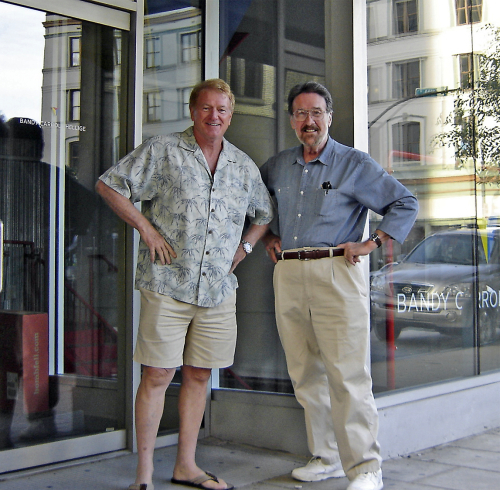 The old WDJX studio at 612 Fourth was gutted and now two showcase studios occupy the space." 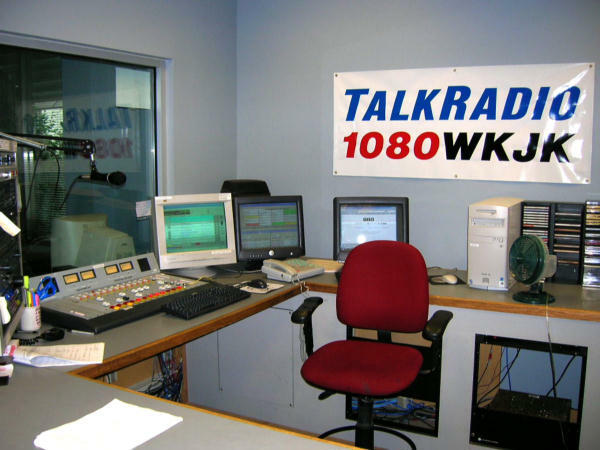 who was a part time newsman using the airname "Owen Patrick"
The 1080 frequency in Louisville is now being occupied by Clear Channel talk station WKJK. Here's a July, 2005 photo of the WKJK control room. Where WKLO used to live -- Tim England took this pic on December 26, 2009. He writes: "I did a drive-by in Louisville today to show Carie where I landed a job almost 33 years ago. The storefront is still there, and I can still imagine us spinning the vinyl at 307 W. Muhammad Ali Blvd." 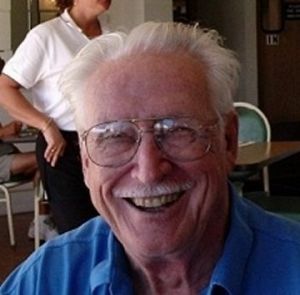 Rip Rinehart responds: "The storefront is there, but the floor is not! If you look in the window you'll be looking down into some sort of conference room in the basement with a very high ceiling." 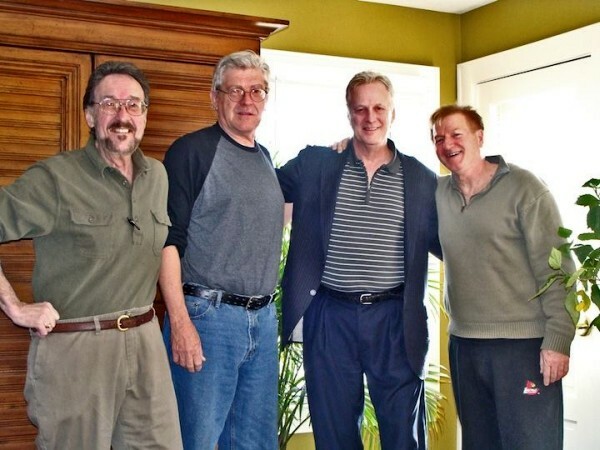 Four 1970s WKLO DJs get together on Thanksgiving Day 2014. The WKLO call letters are licensed today to Hardinsburg, Indiana. Here's the exterior of the Paoli, Indiana building that hosts the station and two others.